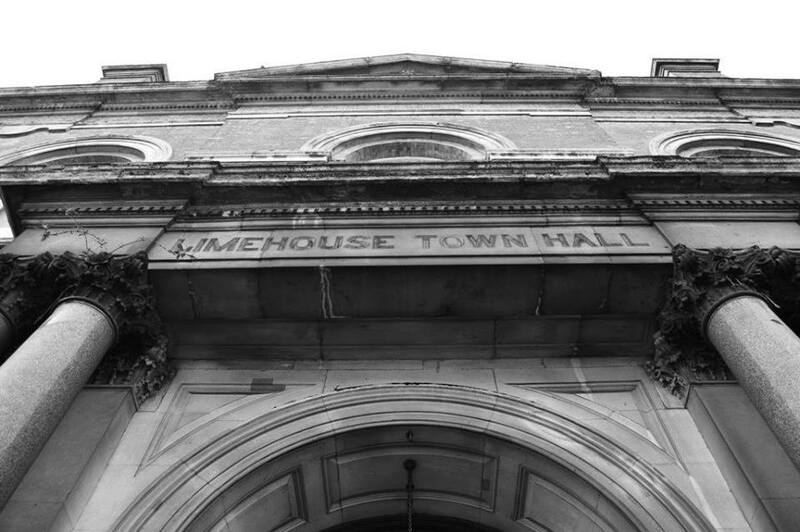 An evening of London curiosities in sound and on film in the historic Limehouse Town Hall. Hear the long-lost sounds of London – from Smithfield meat auctions to buskers in Stratford East and the clatter of crockery in Soho coffee bars. Ian Rawes of The London Sound Survey presents highlights from his legendary sound archive, sonic traces of a century of London life. Transport yourself back to the 1930s when Limehouse was at the heart of the busiest port in the world. This captivating documentary shows London’s dockers and the many strange goods that came through London’s port. This masterpiece was filmed by Basil Wright, maker of Night Mail. Hear short readings from contemporary London non-fiction and a live excerpt from Ealing Feeder – Sarah Angliss’ forthcoming album inspired by London folklore, past and present. This evening is part of a series of events at Limehouse Town Hall, marking the eightieth anniversary of The Battle of Cable Street, when London dockworkers and others prevented Oswald Mosley’s British Union of Fascists from marching into the East End of London. Proceeds of this not-for-profit event will help to fund future community events in Limehouse and charities working against hate crime in London. Thanks to the Port of London Authority and the Museum of London for allowing us to screen City of Ships (1940).